gah I like the new stills, it looks more.. emotional(?) esp the 1st one. there is a new teaser in baidu. here is the link. can anybody translate the teaser? really wonder what she said in the press conference scene . Call it a gift from the viki team. Translations by cgwm808. Just wanted to say if we get subbers (enough of them) softsubs are being released. Ooooh this looks interesting and I like the cast. 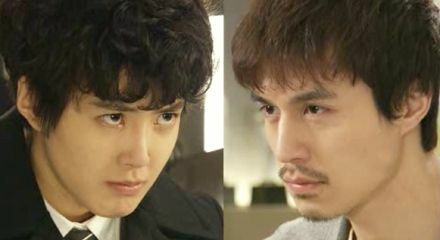 The jury is still out for me on Lee Dong Wook's 'stache but I will say that I'm not a fan of Lee Shi Young's hair. But Oh Man Suk and Lee Dong Wook's bromance looks very cuuute. Wait... is it me or does Lee Dong Wook with facial hair make him look a little like Kim Min Jong? I do think Kim Min Jong looks good both with and without facial hair. have Jessica started filming for this? Hwang Sun Hee, looking forever 20..
^ thanks for those lovely picture...lee dong wook ahhhh so handsome lsy looks good but her shoes is just ughhh ... her eyes is so lovely and pretty looking....counting down to this drama !! wild romance fighting !! The new KBS Wednesday-Thursday drama “Wild Romance” has unveiled its posters ahead of its opening on January 4. The romantic comedy revolves around a wild baseball player and a woman bodyguard. In one poster, Lee Si-young, who plays female protagonist Yu Eun-jae, grasps the cheek of Lee Dong-wok, who plays her opposite, Park Mu-yeol. She takes on an annoyed look and sports a short curly hairstyle which makes her look like a boy. Lee Dong-wook also holds onto her hair with a frown. In the other poster, Lee Si-young smiles shyly wearing ear muffs like a cute little girl, while Lee Dong-wook leans toward her with a confident look. The posters hinted at how the relationship between the two will develop from enemy to couple. Copyright ⓒ KBS & KBS Media - Illegal reproduction & distribution is banned. Lee Dong Wook, the lead of the upcoming KBS2 drama Wild Romance, talked about how it felt to act with a ‘rough’ actress in a drama with many action scenes. The press conference for Wild Romance took place on January 2 in Seoul. The leads Lee Dong Wook, Lee Si Young, Oh Man Seok and Hwang Sun Hee came in to share their thoughts on the drama. Lee Dong Wook and Lee Si Young are paired as the violent and ignorant baseball player Park Moo Yul and the bodyguard Yoo Eun Jae, who has to guard the player she hates the most. The two can’t help but hate each other in the beginning of the story, so they had to act out fierce action scenes followed by lovey-dovey romances. 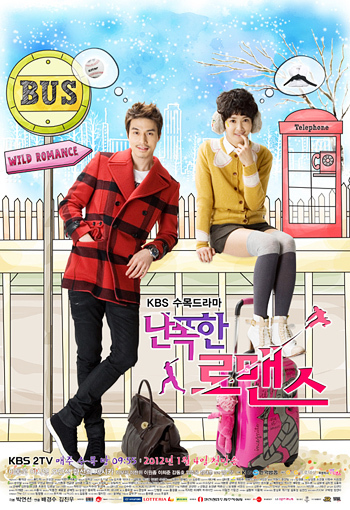 Wild Romance will air its first episode on January 4. Actress Lee Si Young recently said that she is not afraid of competing against SNSD’s Jessica. Lee will play the role of a bodyguard named Eun Jae in the series. She is a private guard of a baseball player named Park Moo Yeol (played by Lee Dong Wook), who she hates. 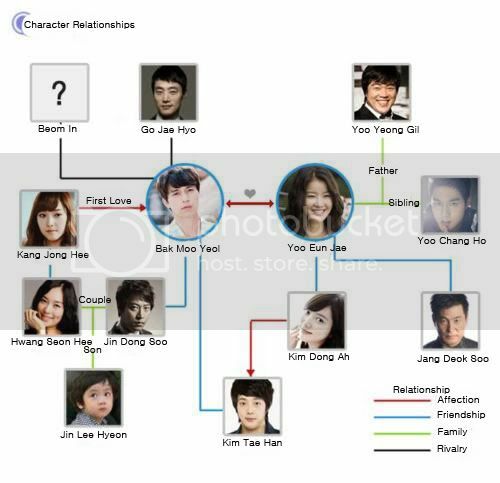 But when Jong Hee (played by Jessica), who is Park’s first love appear, their relationship will change. The series is a romantic comedy about a tough girl who has to guard a famous baseball player. Besides Lee, Lee Dong Wook, Oh Man Seok, Hwang Sun Hee, Jessica, Kang Dong Ho, Lim Joo Eun, Lee Han Oui, Lee Won Jong, Lee Hee Joon, Jang Tae Joon, and Kim Jin Woo will appear on the series, starting on January 4. Korean actor Lee Dong-wook says he has performed all of his own stunts for the action sequences in his new TV series because of his co-star Lee Si-young. Lee made the remark during the press conference for KBS' new Wednesday and Thursday primetime romantic comedy "Wild Romance" held in Seoul on Monday while talking about his chemistry with the actress who won the National Amateur Boxing Championship in her weight category last March. "Most of the time, actors use stunt doubles for the really difficult action sequences but Lee Si-young wanted to do them by herself which was tiring for me because that meant I had to perform my own as well," he explained. Lee then added with a smile, "There are several action sequences and even more scenes where we are always bickering so I feel bad because I don't think I've looked at Lee Si-young in a normal way. I keep glaring at her." To this, Lee Si-young responded that she liked that Lee was enthusiastic in practicing the action sequences with her and was satisfied that they did not use stunt doubles. "I think that if I didn't follow her I would probably break my arm...... which is why I wish Lee Si-young wasn't so greedy in performing all the action sequences for the series," Lee Dong-wook jokingly replied. "Romance," helmed by producer Bae Kyung-soo and written by scenarist Park Yun-sun, tells the story of a pro baseball player named Park Moo-yeul (Lee Dong-wook) who female bodyguard Yoo Eun-chae (Lee Si-young) ends up having to protect in order to protect their reputations although she is also one of his biggest anti-fans. The show, also starring Oh Man-suk, Hwang Sun-hee and Girls' Generation's Jessica, will make its premiere on January 4. I'll be recapping this on Couch Kimchi I'll probably have the first recap (first two episodes) up on Friday. Hi could the thread starter use this link for the KBS site? The other link does not contain the links for all the stuff. However who am I kidding I probably have to watch it raw tonight anyway as if I can wait. Heads up North America ( at least I think so as I am including Canada) apparently viki has the license to stream the videos. So whoever is from there can watch it about 2hrs post broadcast in Korea. http://www.viki.com/...ressive-romance Whether is is subbed fast that I can't answer- most of the subbers are only free on weekends and anyone who knows me on viki- knows I don't take well to 'why isn't the episode subbed yet' as the subbers are all volunteers :-) Softsubs will be out with a 1 week delay if it's subbed in time. Looking forward to this as this will be the only drama I am following this month besides Brain.